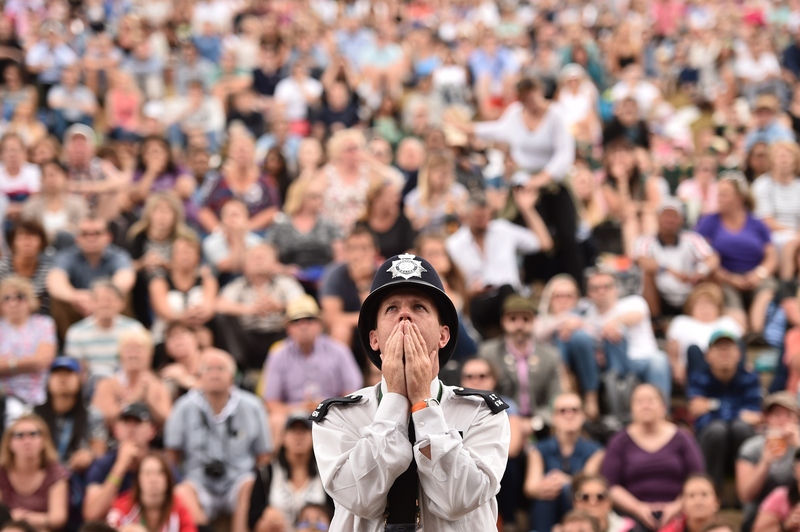 Three thoughts on the Wimbledon 2015 men's final, where No. 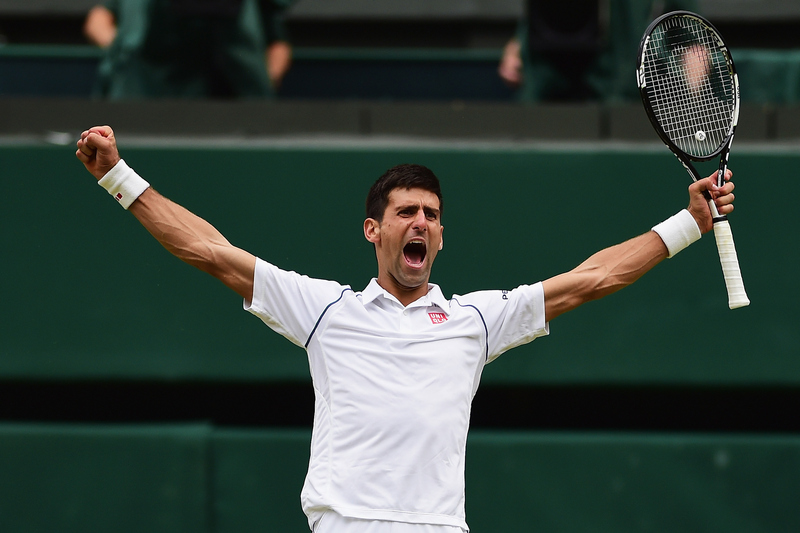 1 Novak Djokovic successfully defended his Wimbledon title and defeated Roger Federer for his ninth Grand Slam title. 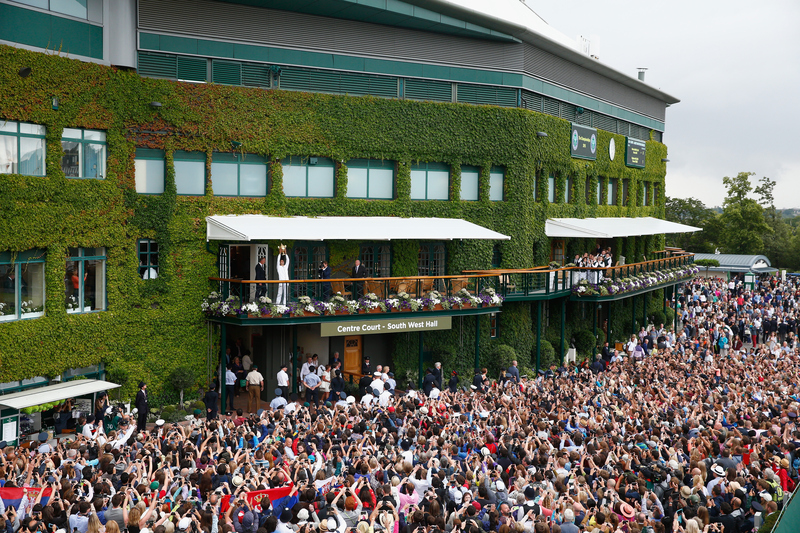 LONDON – Quick thoughts from the Wimbledon men’s final, where No. 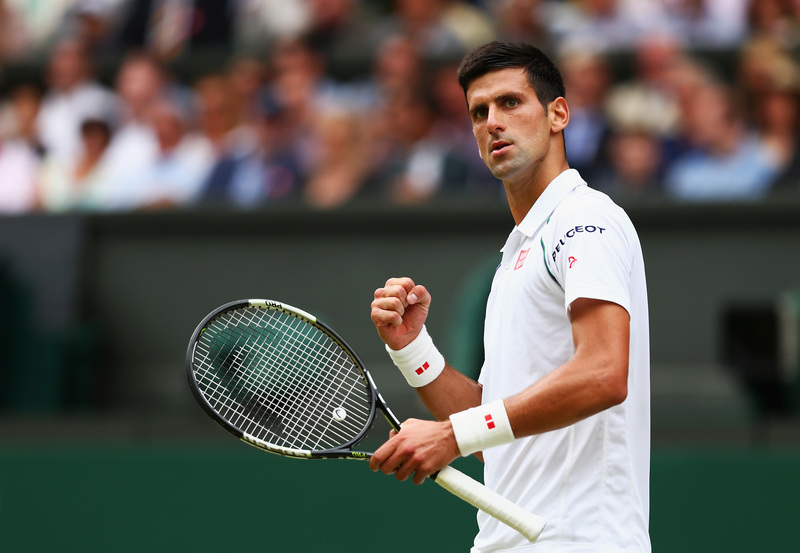 1 Novak Djokovic successfully defended his title against No. 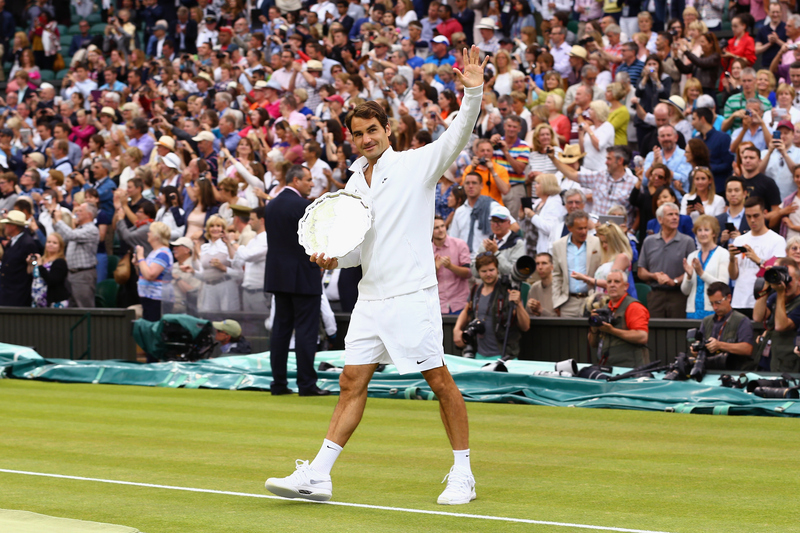 2 Roger Federer and won his ninth Grand Slam title of his career. 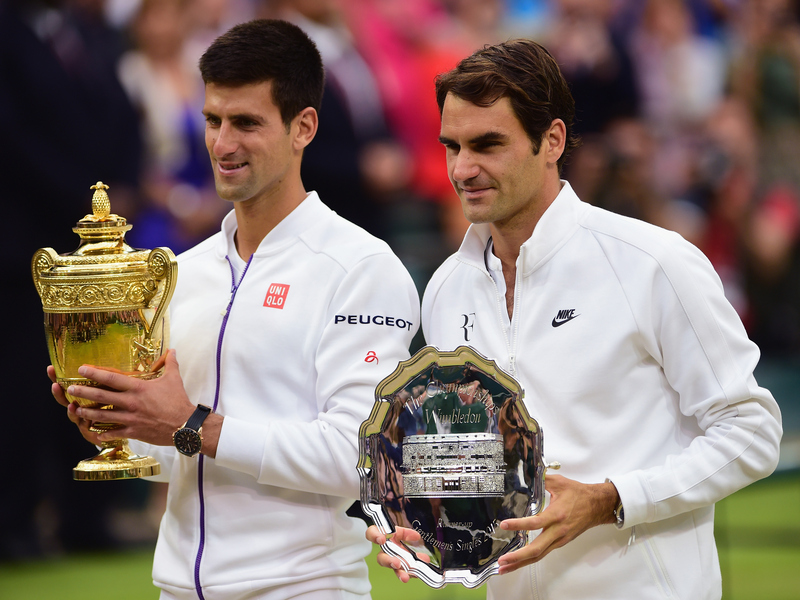 • Novak Djokovic defends his title as the Wimbledon champion, with a workmanlike 7–6 (1), 6–7 (10), 6–4, 6–3 defeat of Roger Federer. Unlike last year’s final, this will not go down as a classic. 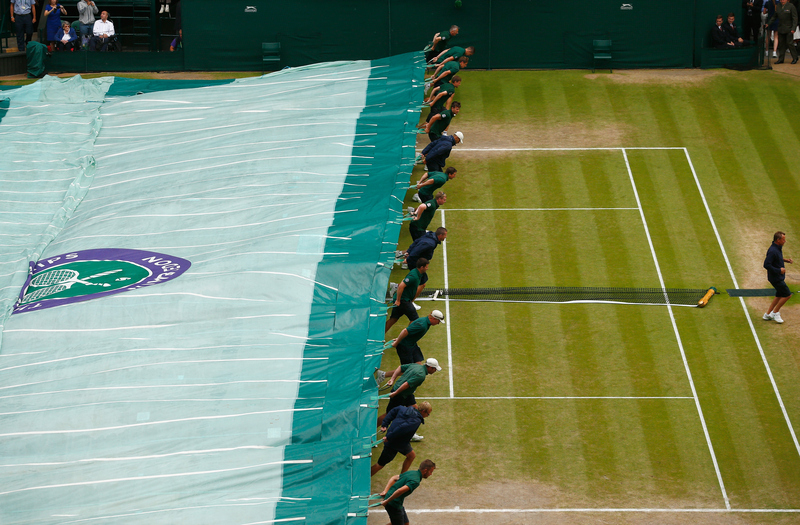 But it was a thoroughly entertaining match, especially through the first two sets. 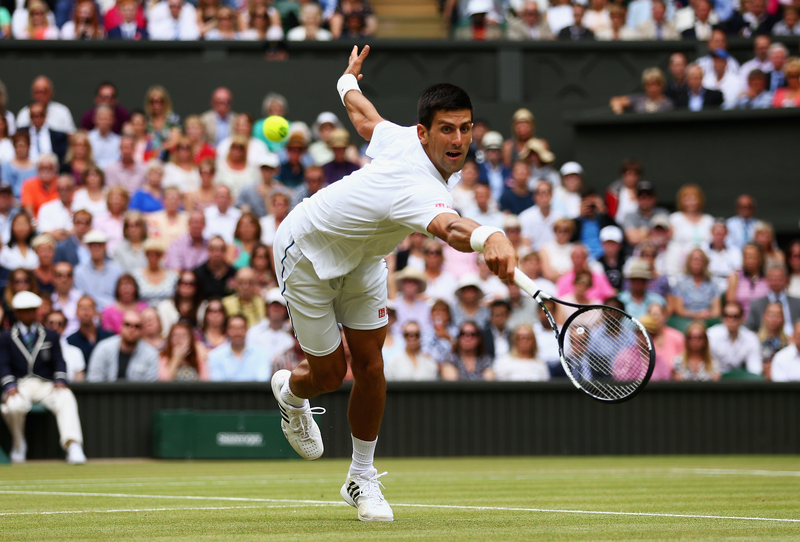 Djokovic is known for his sensational returning and it was in full effect today. 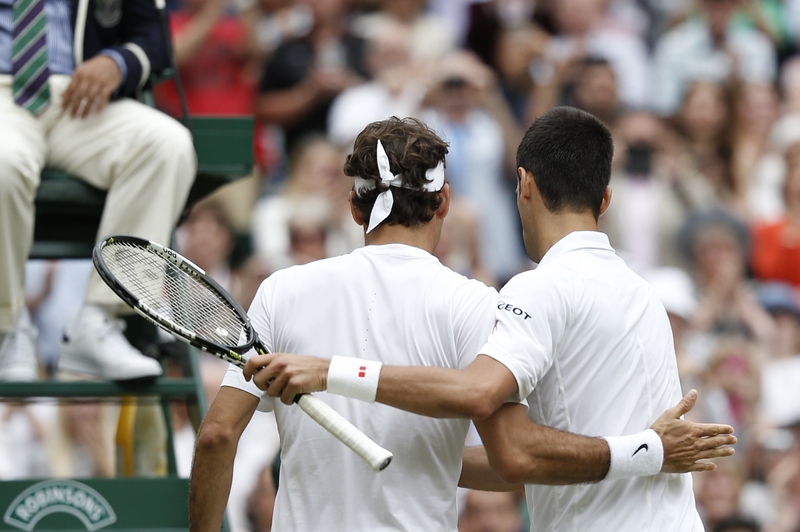 What the stat sheet cannot quantify: did the pressure of Djokovic’s return induce Federer’s poor serving? 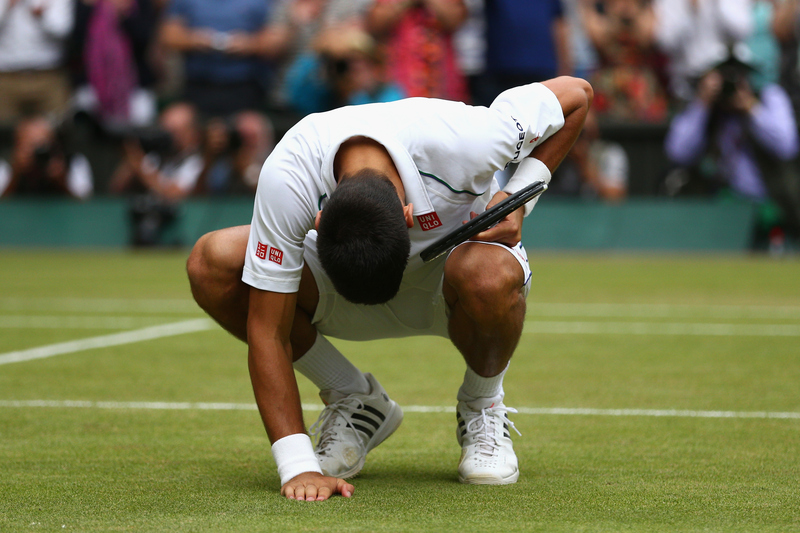 Add this to the list of Djokovic’s virtues: his powers of recovery. He loses in the final of the French Open last month and we wonder how he will respond. He responds by winning Wimbledon. Likewise he lost seven points in the second set today, completely turning the momentum and igniting the crowd that was already in Federer’s favor. He responds by breaking Federer ten minutes later and running out the match. 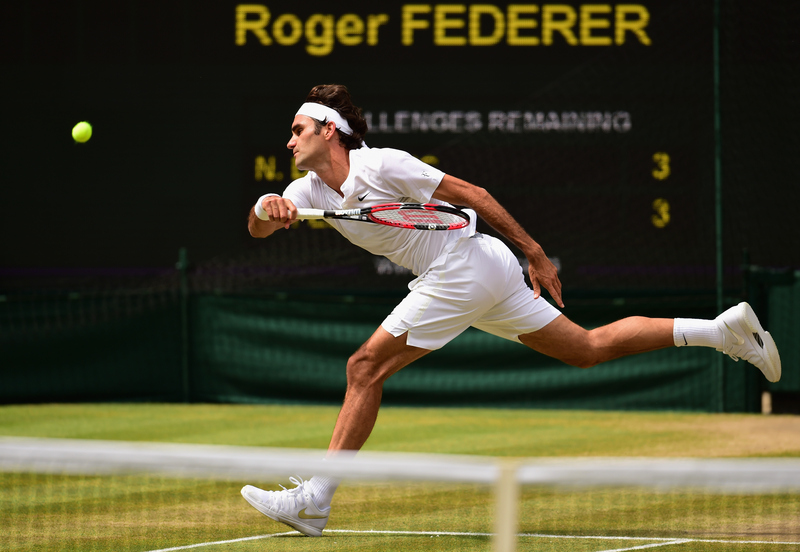 • Roger Federer—like Serena Williams, born a few weeks later—continues to mock age and its reputation for avenging. His level of play through six rounds here was vertiginously high. His semifinal match against Andy Murray might be the three best sets he’s ever played consecutively. His level though dropped today—due in no small part to the singular quality of the opponent. 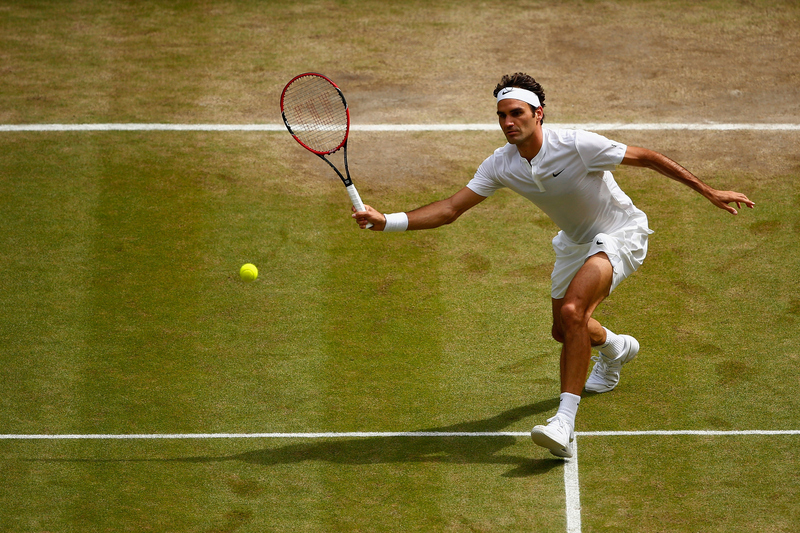 Against a peerless returner, Federer had his worst serving day of the tournament. The shankasaurus—kept in its cage all tournament—finally made an appearance. 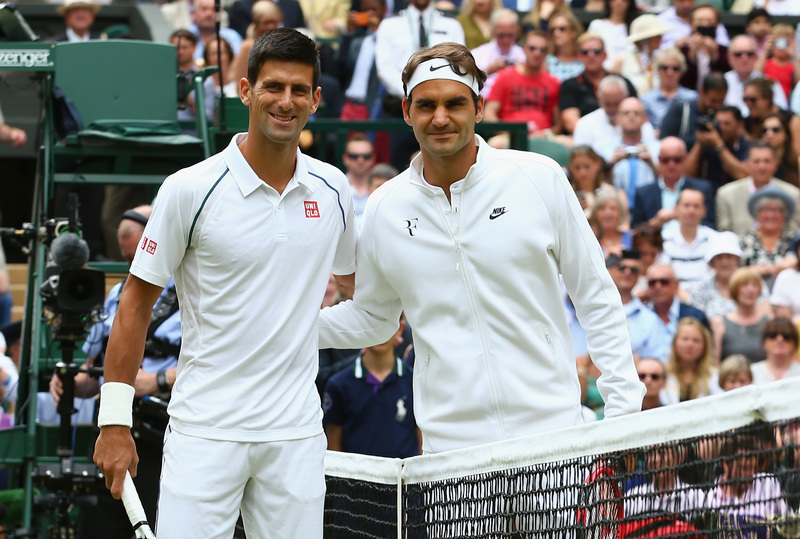 Federer imposed little impact on Djokovic’s service game. 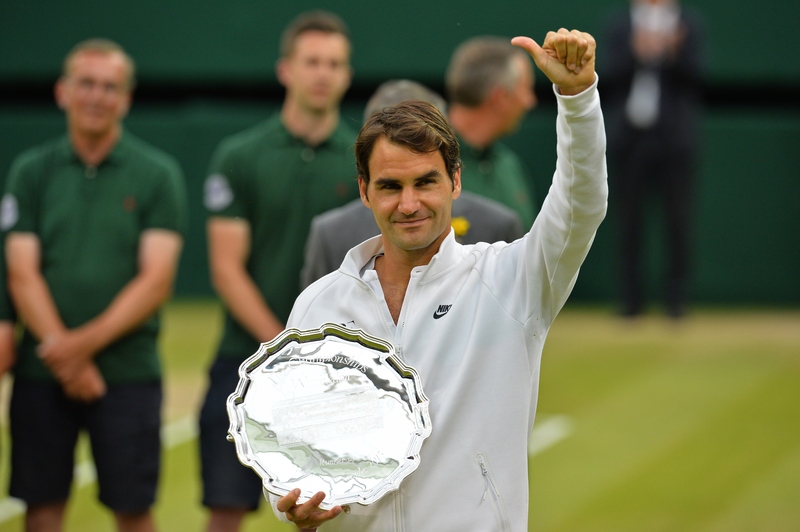 Federer should be fired with optimism for his fantastic form. But this one will also sting. At this stage in his career, he’ll be disappointed that he couldn’t bring his best level this afternoon. 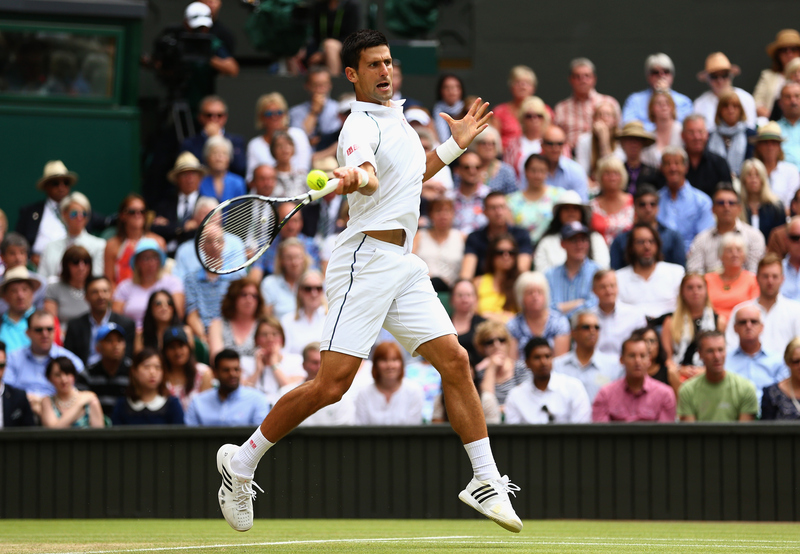 • In an era that demands flash and GIF-worthy flourishes, one that has become accustomed to Federerian flashes, Djokovic is fighting an uphill battle with the public. He is more craftsman than genius. His strength is a lack of weakness. Being the best returner of all-time is like being the best defender. But while it might not make you a fan favorite, damn, it’s effective. Playing functional, efficient tennis, Djokovic is about to break the electrical fencing and head into the GOAT pasture. 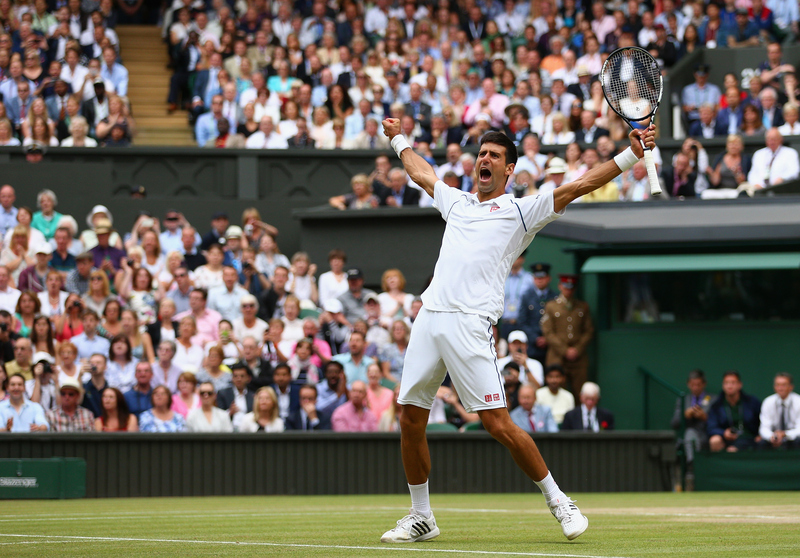 At a time of unrivalled depth, Djokovic won his ninth major singles title today. Take a look at the players he passed today, guys with names like Agassi, Lendl and Perry. Were it not for a zoning afternoon by Stan Wawrinka on a Paris Sunday, Djokovic, like Serena, would be coming to New York with designs of a Slam.